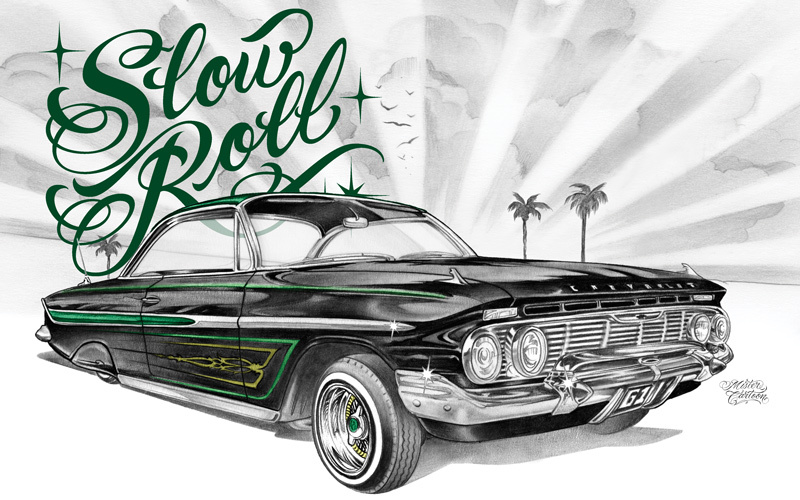 Home Art An Inside Look at the Lowrider Culture of East L.A.
An Inside Look at the Lowrider Culture of East L.A.
“East L.A. is the mecca of lowriding. Our lowriders are famous for being extra clean and well built, and our paint jobs are the best. But the painters are usually insane. The good ones are alcoholics or might get deported. If Trump has anything to do with it, there will be no custom car builders or paint jobs or interiors. Chevy Impalas are the most sought after. 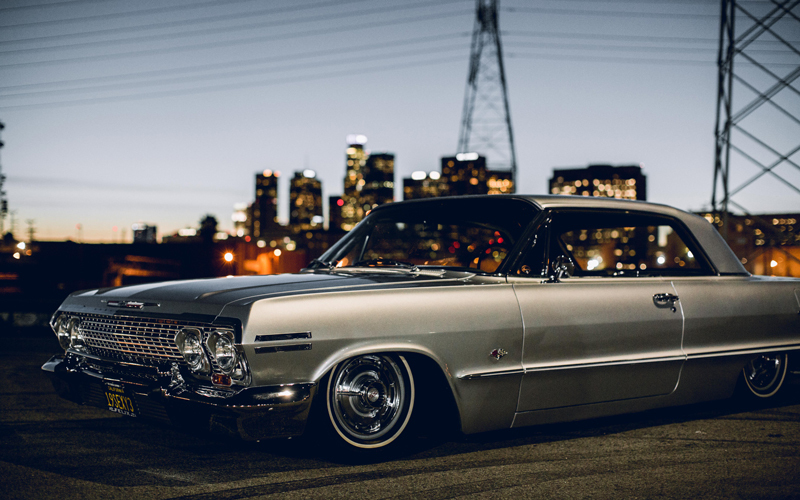 Once N.W.A rapped “Cruisin’ down the street in my ’64,” the ’64 Impala became the official lowrider of the world. It’s not even the most desirable—that’s the ’58 Impala, the original and the greatest Impala—but the ’64 is the most famous. Here’s what it takes to make a lowrider. Building a lowrider from start to finish might cost $25,000 “just to get close to the finish line,” Cartoon says. But if you’re willing to drop more cash, the sky’s the limit on modifications: an upgraded audio system, suede interiors, spoke-wire wheels, and wood floors. Lowriders are known for their paint jobs, and the best involve a two-part process. First a metallic base coat is applied; next comes the candy coat, a translucent paint tinted with pigment—like blue or red or tangerine—that adds depth with each layer. “One of the hardest things to do is pick your color,” Cartoon says. Airbrushed art on the hoods or doors of many lowriders often depicts the owner’s neighborhood, family members, or scantily clad women. Drivers can make requests, but artists usually get the final say. “You don’t art direct the art director,” Cartoon says.